Brand new Danube Arena gets state-of-the-art LED lighting from Thorn and Zumtobel – making it one of the first LED-lit sports venue in Hungary. The Danube Arena is a state-of-the-art water sports venue on the banks of the River Danube in Budapest. 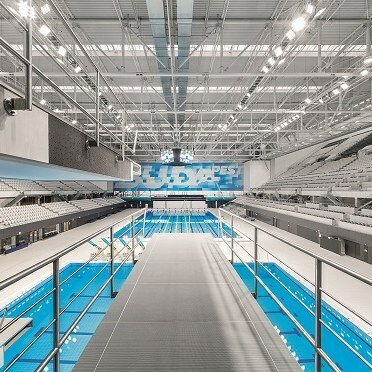 Built specially for the 2017 FINA World Aquatics Championship, the arena includes two full-size swimming pools, a diving pool and a training pool, and can host up to 15,000 spectators. 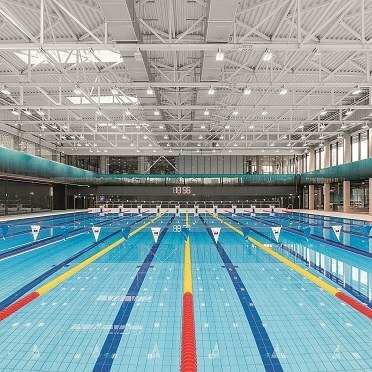 The building had to be completed on an incredibly tight schedule of just two years, after the location for the championship was unexpectedly changed from Mexico to Hungary. The arena’s lighting was designed by local practice BE LIGHT!, using products from Thorn and Zumtobel, who were involved with the project right from the planning stage. To meet the high standards required for the project – especially the demands of HDTV broadcasting – BE LIGHT! decided that the lighting system needed to be LED. 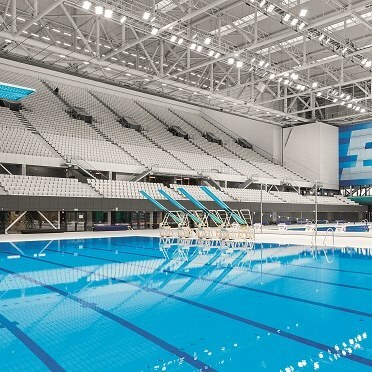 The arena is believed to be the first sports venue in Hungary to be lit predominantly with LED. 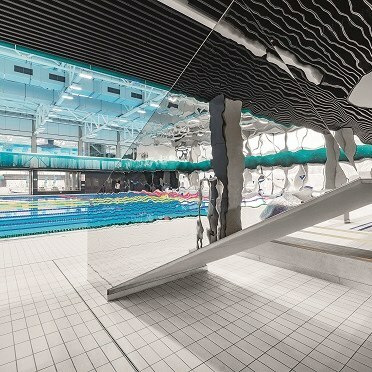 The main pools are illuminated with 280 of Thorn’s Altis LED floodlights, while the training pool uses 200 CRAFT high bays from Zumtobel. The entrance and common areas use 569 of Zumtobel’s Perluce ceiling luminaires. Altis LED features a flexible optical system that can be optimised for different applications, and it is highly controllable, enabling instant light and even dynamic lighting displays. Altis LED’s lightweight, compact design also keeps structural costs down. Fittings also needed strong chemical resistance for use around the chlorinated pools. The lighting system for the whole arena is digitally controlled, with a total of 15,000 digital addresses – as many as the number of spectators the arena can hold. Despite the demanding requirements – not to mention the tight deadline – the project has been a big success. Zoltan Morvai, CEO, BE LIGHT! Investor: Hungarian National Asset Management Inc.
Electrical Contractor: Vilati Szerelő Zrt.